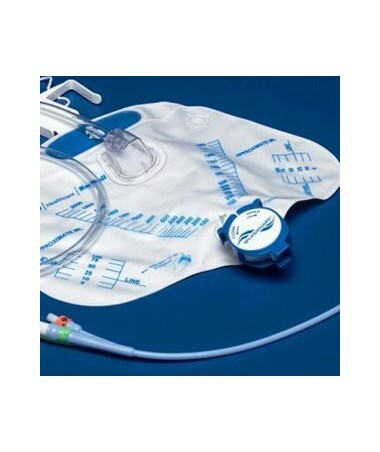 The Curity 100% Silicone Foley Catheter Tray 6140 is an all in one package for catheter insertion and urine sampling. This tray features a drain bag complete with the mono-flo anti-reflux device, safeguard needleless sampling port and splashguard II drain spout. The Mono-flo anti-reflux device provides gross reflux without restricting system flow. Safeguard sample port is an OSHA compatible needleless self-sealing port that reduces the likelihood of closed system contamination. The splashguard drain spout provides accurate, one-handed drainage while reducing the likelihood of cross-contamination. It features an enhanced 45-degree pedestal, which ensures vertical position during use. 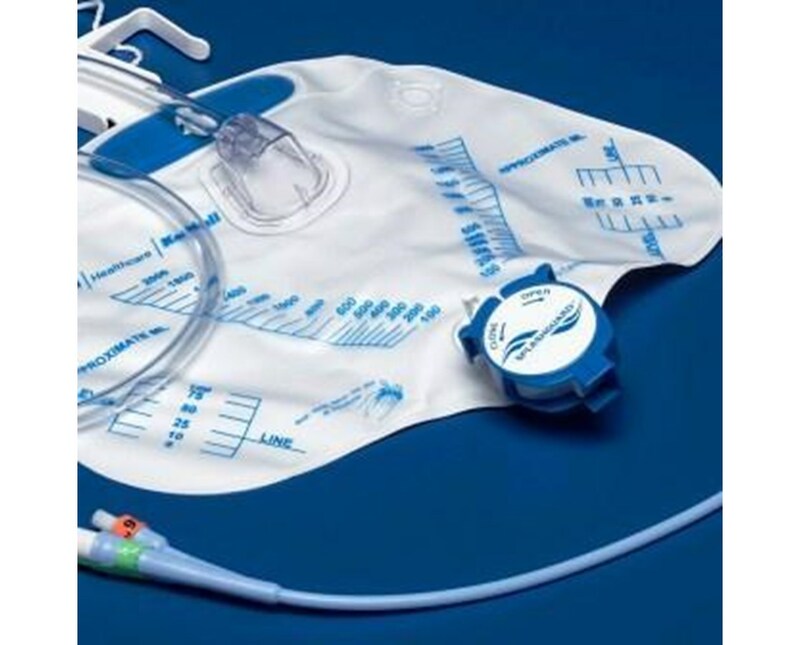 Included is an 100% Silicone Foley catheter, 5cc, 2-way, 17". Silicone is the inert material preferred for medical devices today. With silicone the patient will have less urethral irritation, stricture and encrustation compared to latex catheters. The Curity 100% latex free Foley Catheter prep kit includes, sterile CSR wrap, fenestrated drape, under pad, nitrile exam gloves, forceps, prepping balls, 10cc prefilled sterile water inflation syringe, unique bellows lubricant syringe, povidone-iodine solution, specimen container and label. Purchase right here online, simply press add to cart above! 100% Silicone Foley catheter, 5cc, 2-way,17"